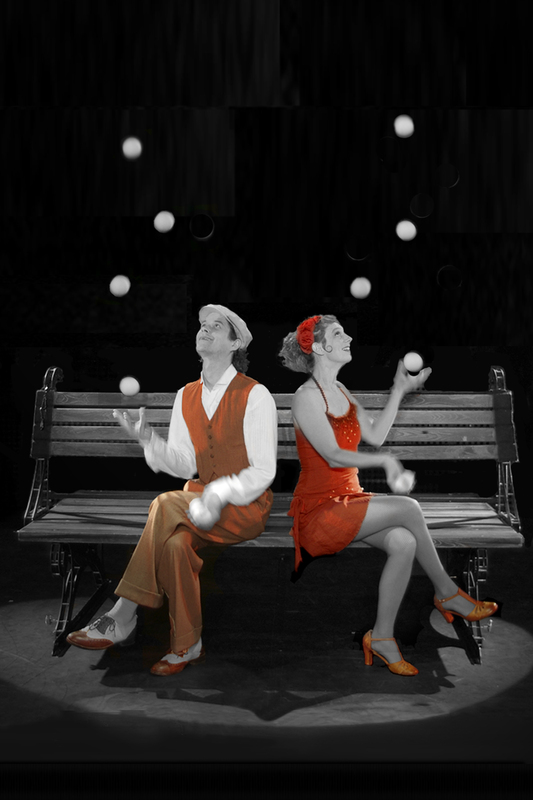 Charismatic, charming and incredible technical accomplishment, Duo Have a Ball is the premiere bounce juggling act in the world. 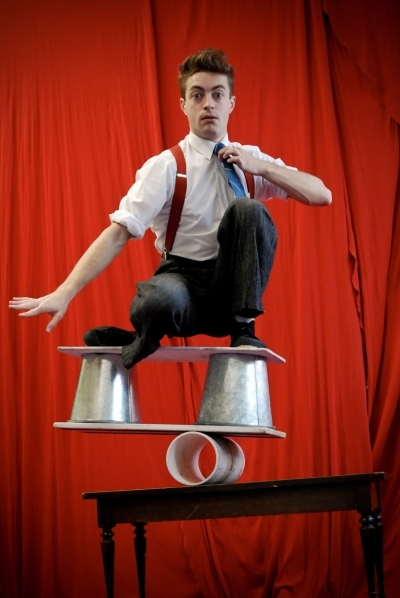 Shape shifting comedian acrobat… Ross is a master of embodying radically different characters on the fly. Ross is a graduate of Dell’Arte International School of Physical Theartre and of the professional Acrobatic Program of the San Francisco Circus Center. Amelia is did her master’s studies in clown at Dell’Arte International School of Physical Theatre. Sasha Pivaral is the most decorated handbalancing contortionist of this generation. Starting her training at the ‘late’ age of 8, Sasha has worked diligently for over a decade to perfect her work. With medals from the prestigious Monte Carlo, Wuhan, Izhevsk, Figueres, Latina and many more Circus Festivals, she has firmly established herself as the best in her field. Her awards are too numerous to list. 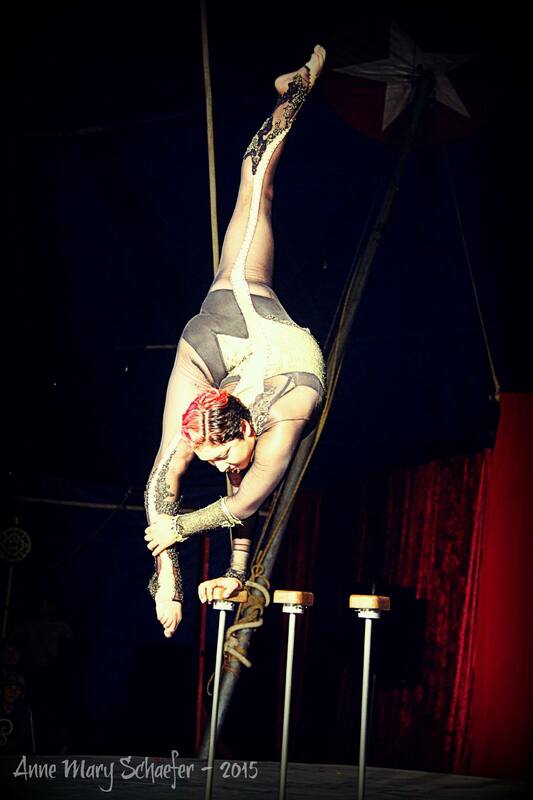 Sasha Pivaral is considered a legend by circus aficianodos and we are extremely proud to bring her talents to our humble stage. Nelson and Goulia Pivaral combine experience of competition at the National Olympic level with over fifteen years of professional performance. Coming from Turkmenistan and Guatemala, the passionate couple have thrilled audiences all over the world. Ariele has toured the US, UK and Australia with her gracefull tightwire styles. 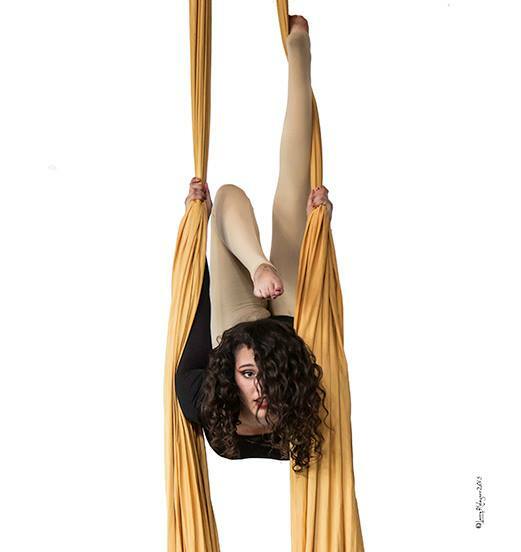 Based in Chicago, Ariele is joining Flynn Creek Circus for her second tour. Jan started his performing career at 11 years old in Maine, juggling at children’s birthday parities. Since that time he has toured the world working in various productions with his juggling, rola bola, comedy and diablo acts. 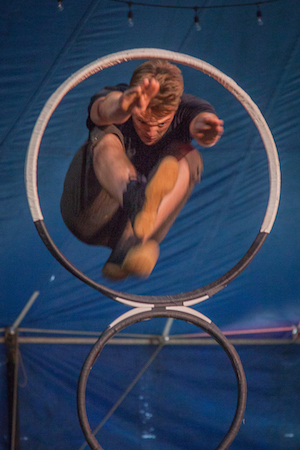 This is Jan’s second tour with Flynn Creek Circus. 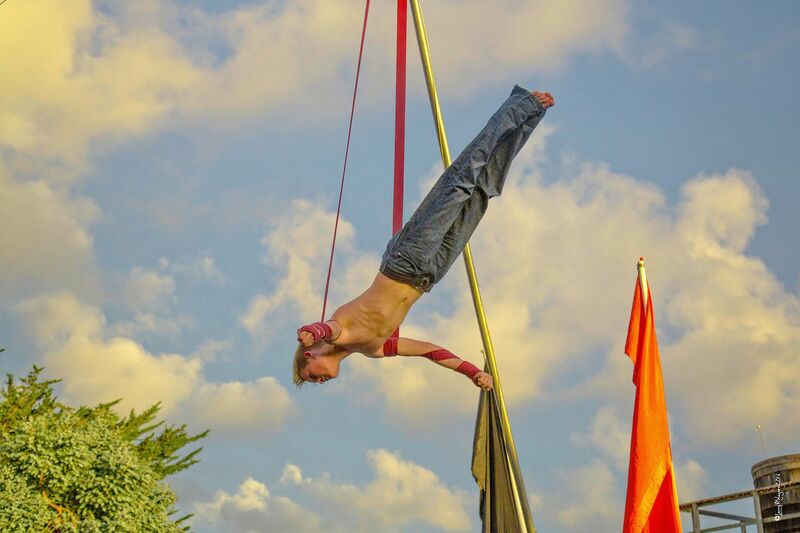 Miles Stapp is an acrobatic performer based in Northern California. He is extremely excited to play his role as the over enthusiastic Ninja for the 2017 season. Shem Biggie is 17 years old. 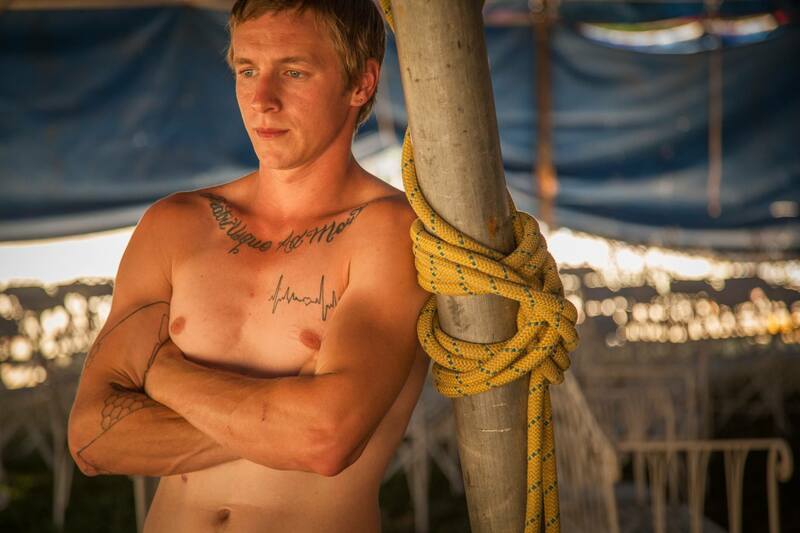 He started his circus training with Circus Mecca at age 9. Shem has performed with Cirque de la Symphonie, Ecole Nationale de Cirque in Montreal and has travelled to China to further his studies. 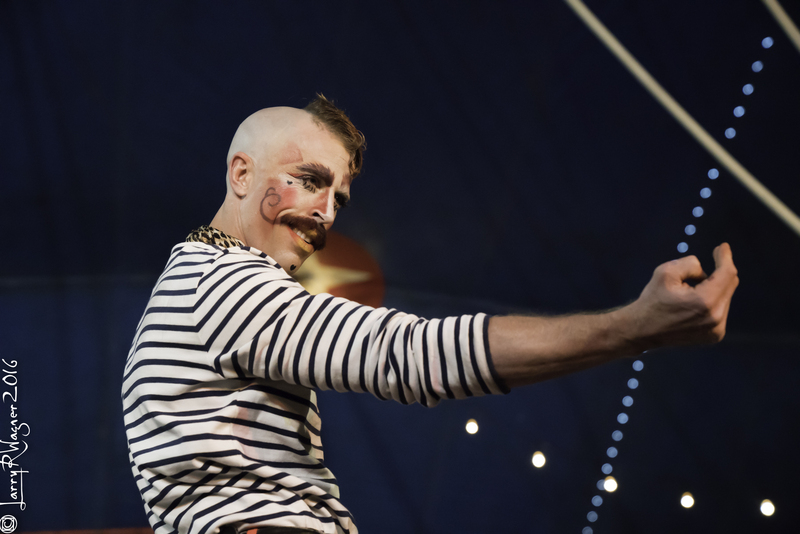 Shem returns to Flynn Creek Circus in 2017 as a professional performer, having graduated from his role as apprentice. Nicole is the Ticket Office Manager and Sales Agent for Flynn Creek Circus. Among other things, She is also a talented story teller, perfomer and model. Tyler Beale is a complicated man. We call him ‘Sunshine’ or ‘Tbone’…just for fun. 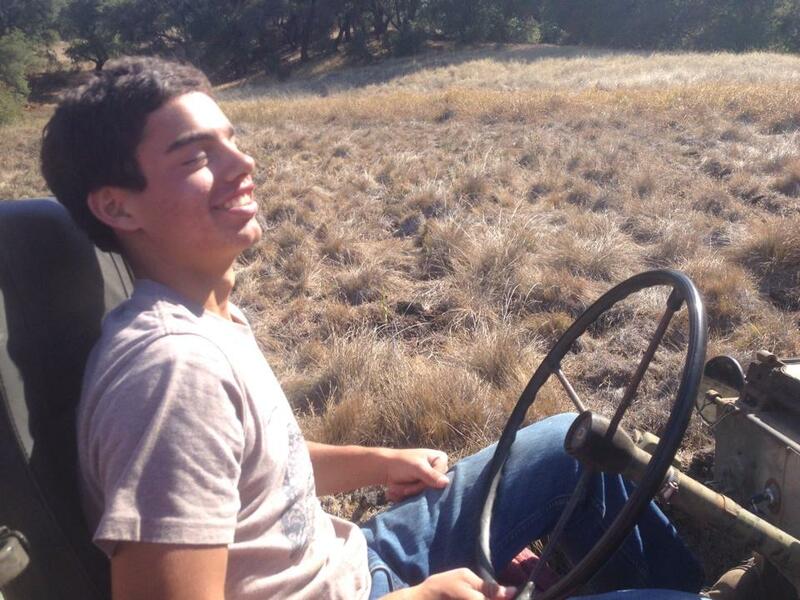 Frederick is only 19 years old, but has the skills of a seasoned professional. 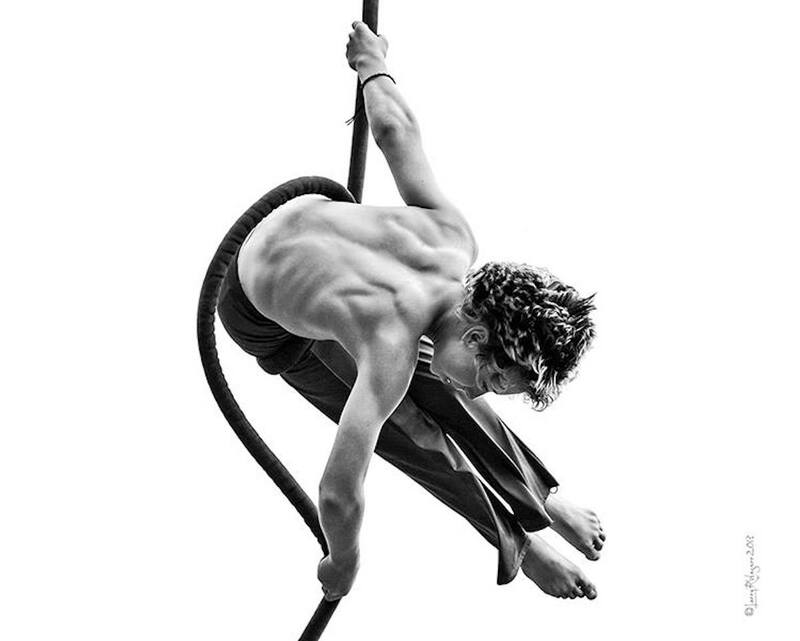 Having started his circus career at 9, he’s learned a thing or two. He comes to Flynn Creek Circus for his 3rd season from Circus Waldissma. Maya Bremmer is 17 years old and joining Flynn Creek Circus as the winner of the Apprenticeship position. 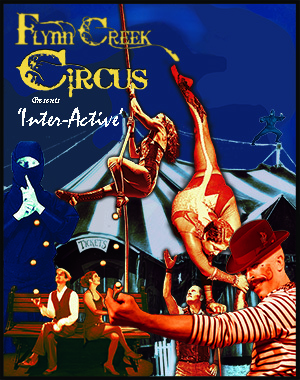 Flynn Creek Circus’ “Inter-Active” is an audience driven film noire circus comedy packed with unbelievable stunts and skill. 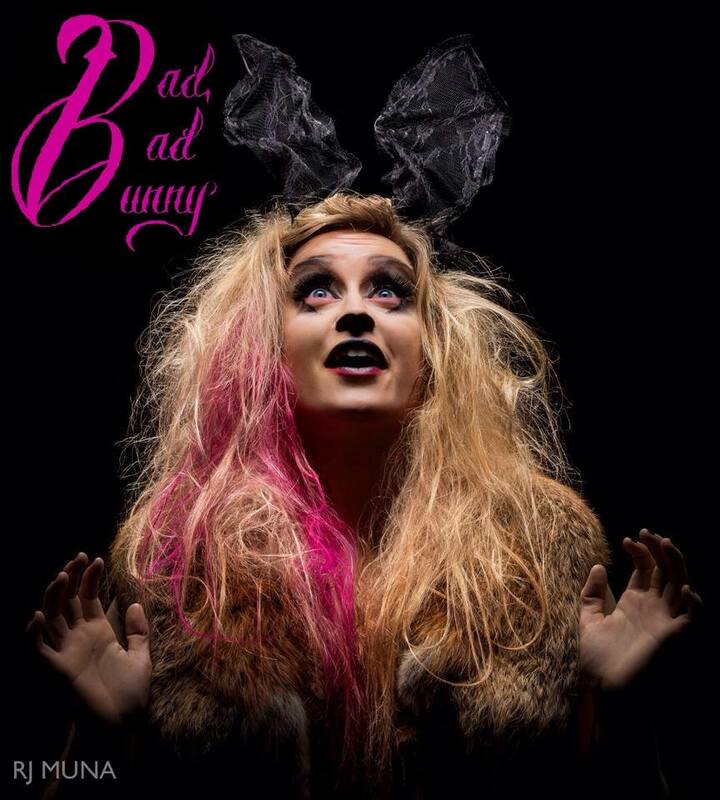 Acrobats, aerialists, jugglers, sharp shooters, comedians and more will thrill and inspire in this genre bending show. We can’t really tell you about the acts because that’s what you will decide each show!